It could start costing even more. The baht is at a three year high and rising. That's awesome for your savings, but it also means this city's more expensive than you might have once thought. And with new import levies coming into effect that could drive up the price of your favorite imported produce even further, the price of living in nice neighborhoods and eating and drinking at posh restaurants looks set to get worse. 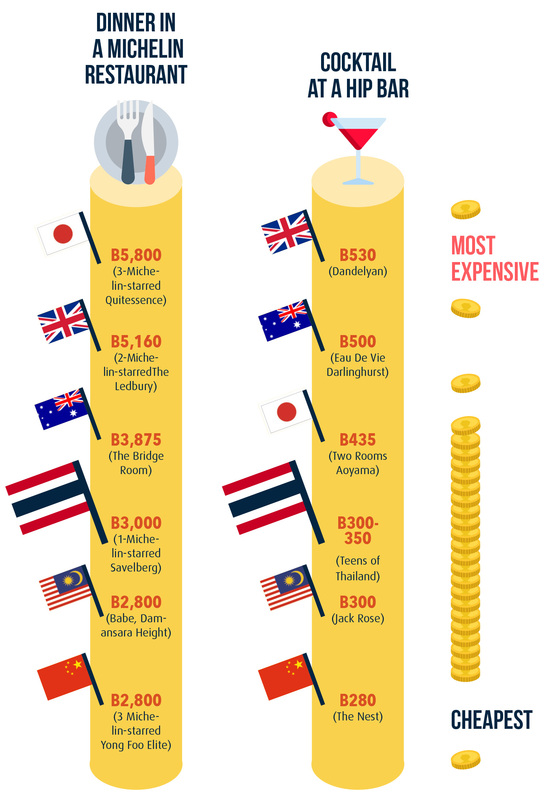 So, here's how the price of living in Bangkok currently compares to cities around the world. Bangkok’s tradition of cheap street food persists, for now. But as the culinary culture has matured and globalized, the number of venues with a price point on par with international fine-dining restaurants has gone up. Michelin stars augur Michelin-tier prices. Cocktail menus seem to be on a similar inflation schedule. 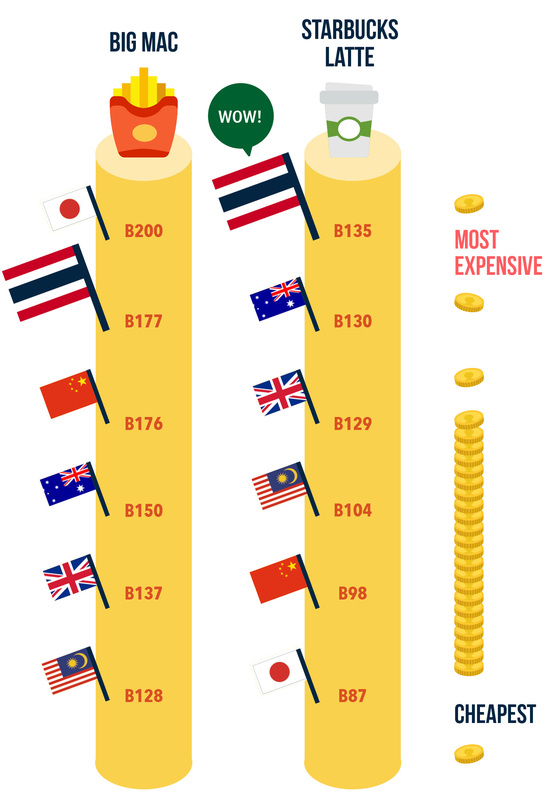 So how much does it cost to eat and drink out in Bangkok? When the BTS increased its fares in Oct 2017, the outrage was swift and justified given the irregular standard of service and the already high prices. By contrast, Bangkok’s taxis begin at a low rate, especially relative to ride-hailing services like Uber. Although downtown rents are rising at the same frenetic pace that the city produces new condominiums (we have property investors to thank for that bubble), affordable apartments (B5,000 per month) are still available for those willing to sacrifice floor space or willing to bear a long commute. 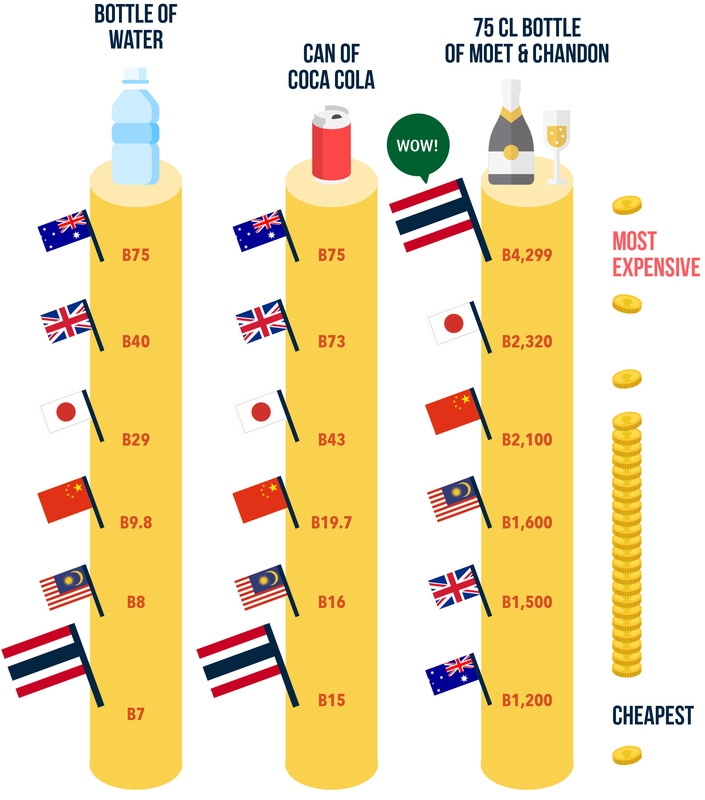 Why is imported alcohol is more expensive than other cities in the world? The reason for the high price of imported alcohol in Thailand comes from income tax on the part of importers, who are obliged to pay on the date of import, VAT and, the biggest factor, excise tax—something that's not common in other countries. Alcohol is considered as a luxury good here, so there’s added excise tax, leading to the higher price.